This office was established in June 2006 in order to put in place the structures, personnel, policies and procedures needed for the safeguarding of children within the Diocese of Raphoe. This is guided by principles derived from the Gospel values and civil sources, and seeks to ensure the safeguarding of children in a manner consistent with statutory requirements and Church guidelines. To ensure that safeguarding children information and contact details are available to all parishes and church organisations, through the provision of notices for display in each church and meeting-areas for children and young people. 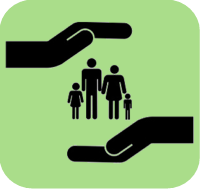 The Safeguarding Children Office is also the base for committee members and diocesan trainers and provides a point of contact for other interested parties and outside agencies.